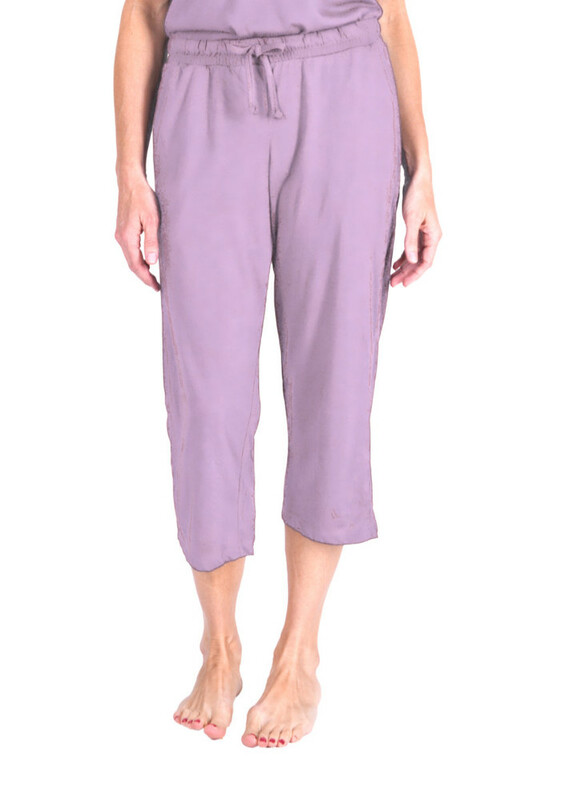 Style #T2138 Keep covered while staying cool with these Mix & Match Drawstring Wicking Capri Pajama Pants with side seam pockets. 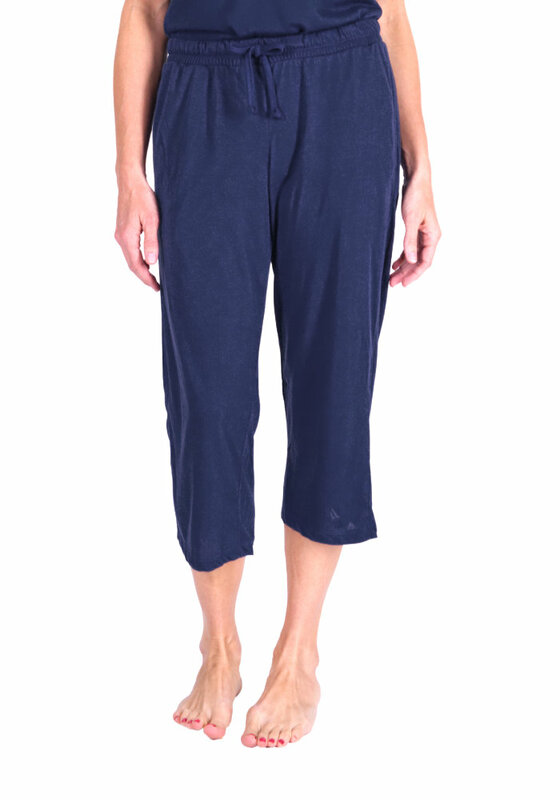 Cool-jams™ uses our unique Cool-jams™ performance fabric technology to create a stylish, silky capri sleep pant that also wicks away moisture from the skin as you rest. 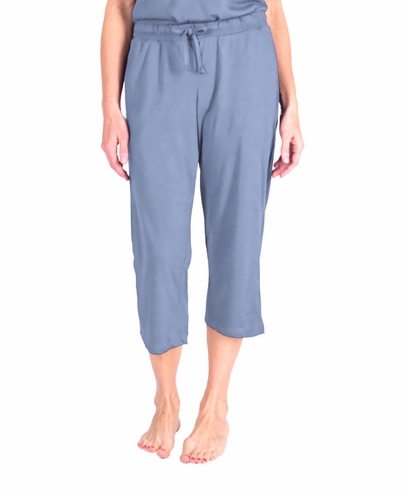 Whether you struggle with night sweats due to menopause, an ongoing illness or simply differences in temperature between you and your partner, these comfortable, women's moisture-wicking pajama pants will solve your problems and leave you feeling dry all night long. 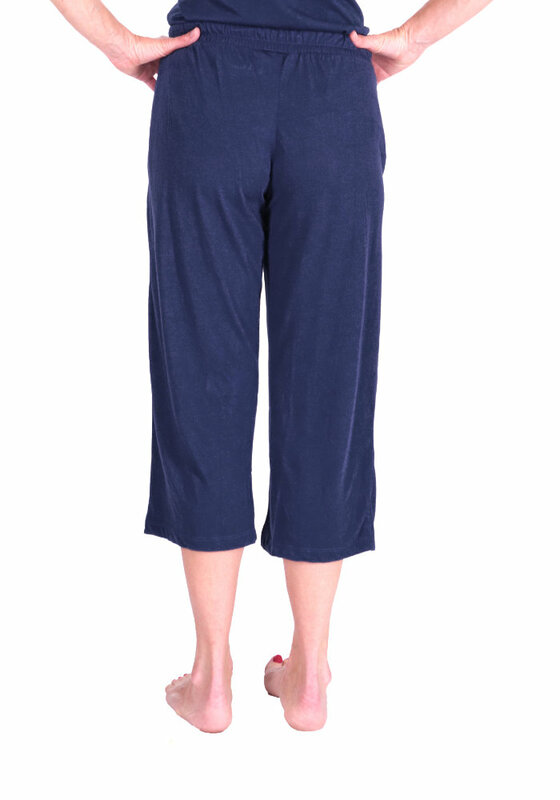 These Drawstring Wicking Capri Pajama Pants come in your choice of colors so that you can mix and match with other Cool-jams™ pajamas to create a complete set. They're also very light and wrinkle-resistant, making them the perfect lightweight travel capri pants to tuck in your suitcase before an upcoming trip. 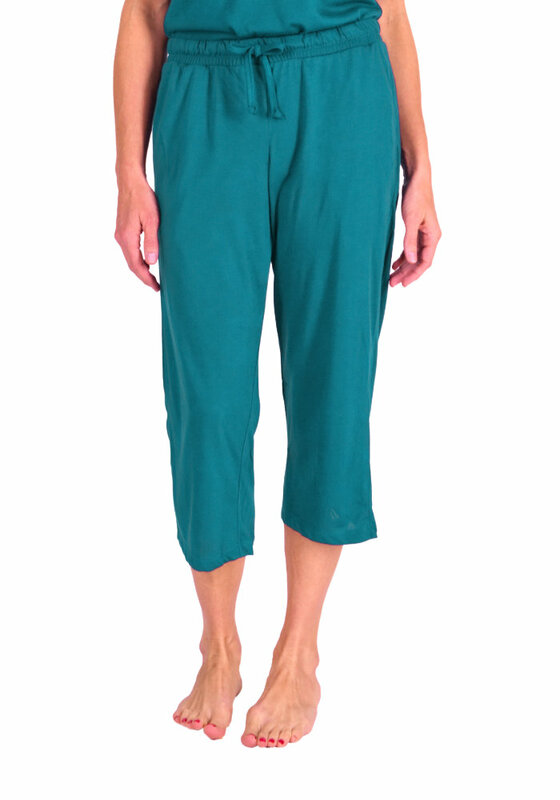 Capri inseam length 21". 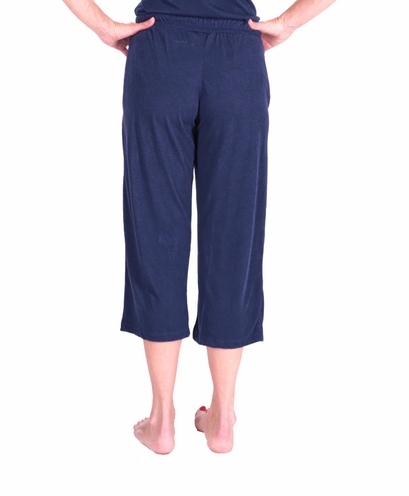 Wash the capri sleep pants in cool or warm water on gentle cycle. Never use fabric softener or fabric softener sheets because it will minimize the wicking properties of the fabric. If you accidentally use fabric softeners, re-wash the garment in clear water to remove softener residue, so the wicking properties will return to maximum effectiveness. Lay your garment flat or hang to dry. Tumble drying won't damage the garment, but can sometimes create static. Cooljams changed my life by making it possible to sleep in comfort again. I have been suffering from night sweats and hot flashes for over 13 years. This product has been a life saver for me. I can sleep much better and do not feel soaked after waking up. They are made of quality material, lightweight and very comfortable. Nice capris. Soft and comfy. 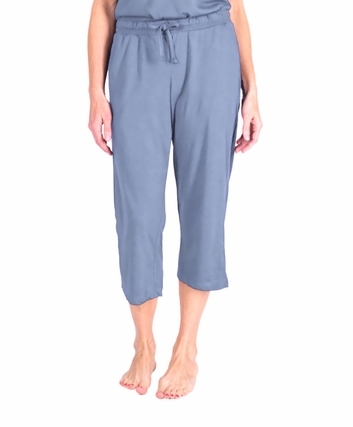 Pockets are great to have in the pjs. These pajamas are wonderful for wicking away moisture and drying quickly. They make my sleep much more comfortable. I'm glad they come in mix-and-match so I can buy a larger top and smaller bottom to fit me perfectly. This is the fourth set of mix and match pajamas I've bought. 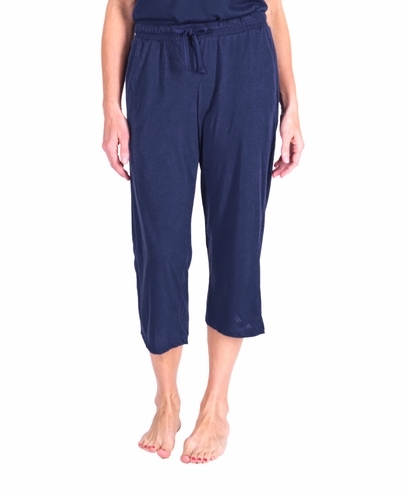 They are the most comfortable pjs I've found for helping with my swings in body temperature. I especially like that I can buy the t-shirt in one size and the matching capris in another. Light weight, comfortable and definitely wick away sweat. I have so many of these and love them so much. They are perfect for sleeping or hanging around the house. Highly recommend them. Sizing seems tru to size. Hanging dry is best. I bought these to go with several wicking tees I already owned. They fit great and wash very well. They even have pockets! All in all, I am very happy with this purchase and probably buy more. I wasn't sure about these pjs when my friend told me about them. I did finally go to the website to try them out. I was not disappointed. These have been great in helping me get a better night's sleep. I have suffered from night sweats for so many years and finally now a solution. Thanks for the excellent products. I've bought 4 of the mix and match items so far.